How can you increase your odds of finding better targets when metal detecting? Well, we all know that many things factor into the equation, but there are a few things that you can do to increase your odds. This may seem like an obvious one, but, RESEARCH! I would argue that research is 60% of the key to success. Going to playgrounds and public places is fun, and we all do it, but if you really want to increase your percentage of good targets you are going to have to become a good researcher. Learning about where an old ghost town once stood is not only interesting but your research can also lead you to places that are long forgotten, and likely never hunted by other detectorists. Playgrounds, parks etc are well known areas to metal detectorists, and have probably been detected in the past. So, by expanding your knowledge with research you will be putting yourself in a position to sniff out some goodies in areas that others have missed out on. As years pass, the landscape changes. New houses are built, old ones torn down, and entire neighborhoods can spring up or disappear. Old maps give you a chance to get a birds eye view of where structures once were. Bing Maps allows you to look at an area with 360 degree views. Some areas have different images, depending on which way you turn the map. Some images will be in the summer when there are leaves on the trees, other views you can see what the area looks like in the fall or winter when there are no leaves on the trees. That can be beneficial in finding old roads or paths through the woods that ordinarily can’t be seen. Paths and trails are very obvious from the air. I actually found a wagon road that literally goes through my backyard and down into the ravine/ hollar to where a farmstead once stood. It has lead me to my personal homestead that I get to hunt anytime I want. Even typical parks and public areas have changed through the years, so aerial maps are a great tool for the treasure hunter and metal detectorist. Another thing that you can do to increase your odds of finding better targets is to Avoid Detecting in Crowded Areas. By that, I mean, If you have a hunt planned at a public park try to schedule your hunts at a time when there won’t be several families utilizing the playground for little Jimmy’s birthday party. Playgrounds are public areas, and as a tax payer, you do have a right to detect the parks, but be courteous and give way to children when they are present. Going somewhere that is swarmed by so many people will only make your hunts more difficult and stressful. Go to parks early in the day, or later in the evening when most people have gone home to make dinner and have family time. I like detecting parks on over cast days and evenings. Usually there is less people around and I’m able to have some quiet time without kids following me around and asking me 1000 questions. Less talking means more targets, and that’s the whole point! Most detectors are designed to find coin sized targets, so if you are just a hobbiest that gets out every now and then, most mid level detectors will live up to your expectations and perform as advertised. You will find coins and jewelry and have fun at the same time. If you are mostly looking for jewelry, then you will want a machine that operates at a higher frequency since they are able to detect smaller gold items more easily. Although purchasing new equipment may be a bit expensive, having the proper equipment will certainly give you more chances of finding better targets. The second most important piece of equipment you will need is a good pinpointer. 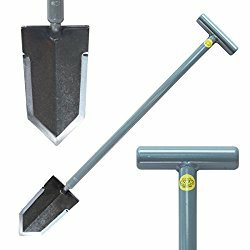 Once you have located a target and you are ready to dig, you need a pinpointer to help you narrow the search area to a much smaller area. A pinpointer can increase the number of targets because you spend less time digging and searching for each target. You also end up digging less overall because a good pinpointer can keep you from digging deeper than you need to. To properly search an area, you need to criss-cross or grid your hunting area. First gridding in one direction, then gridding across #### You could also take it a step further and then grid diagonally if you wanted to thoroughly hunt a specific spot. Using these techniques will surely increase your number of finds. If you aren’t finding anything, just remember, slow your swing speed down, and go a little slower. The targets aren’t going to jump outta the ground just because your coil came somewhat kinda close to them. You have to master your technique if you want to find what others have been missing. Be diligent where others were not, and you will be rewarded when they were not. Before you set out on your next detecting trip, decide that today you’re gonna take some gumption with you. Keep a positive mind-set and believe that you are going to find some goodies, and you will. Our thoughts are powerful and set the tone for everything that we do. You love your hobby, and the targets are but a bonus of our hunts. Enjoy your day outside, keep an open mind, “Take Some Gumption Wit Ya” and believe that you are going to have a good hunt, and, you will. This entry was posted in Arkansas Metal Detecting, Fisher F2 Tips, Metal Detecting, Metal Detecting Tips and tagged arkansas metal detecting, black diggers, Fisher F2, Fisher F2 tips, metal detecting, metal detecting tips, research. Bookmark the permalink.